Mallards Rest Campground; a lovely sight after a 23 hour drive. 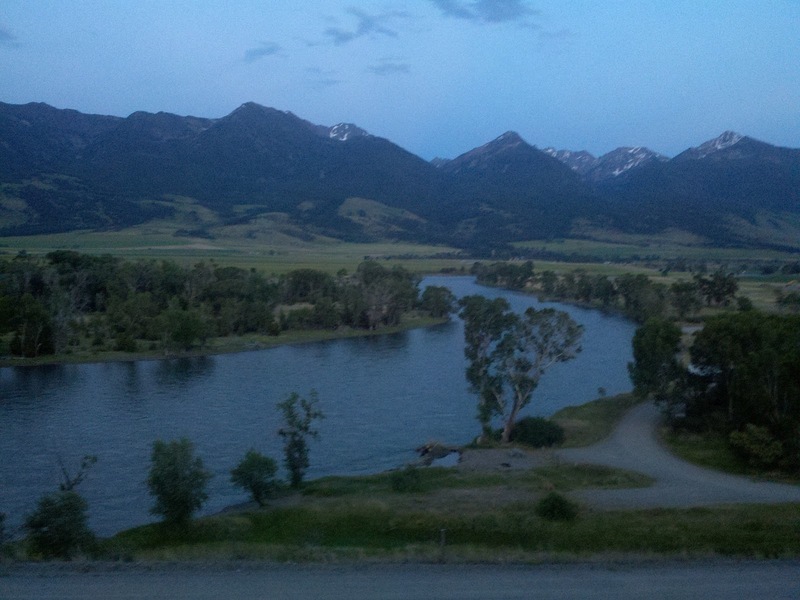 we chose the Yellowstone River from up Paradise Valley way down to Big Timber. About 70 miles through a river corridor lined with houses and farms. 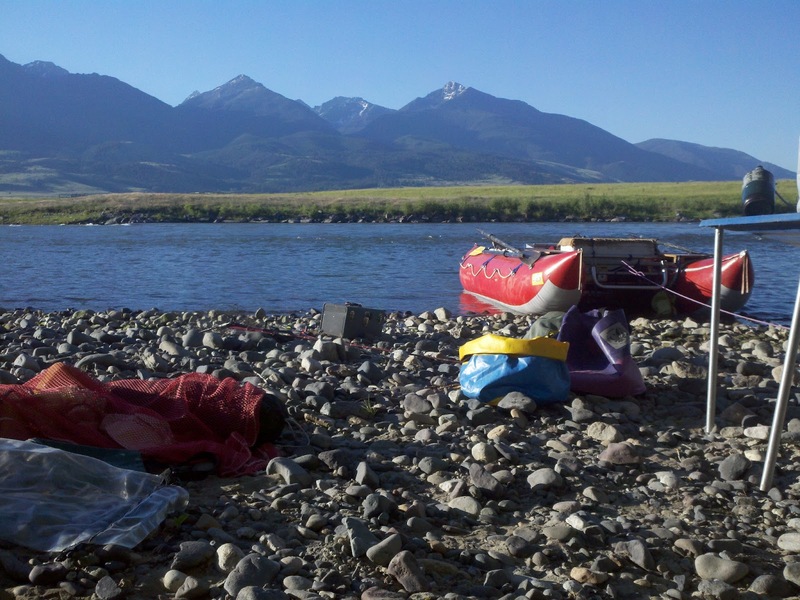 We took 5 days and had no problem finding campsites on islands and otherwise below the highwater line as per the Montana Stream Access law. The braided channel was my favorite part, sometimes going seven different ways at once. Cody did a bunch of fishing, while I did a bunch of beer drinkin'. For most of the way the current blasted us along at about 6 or 7 mph. 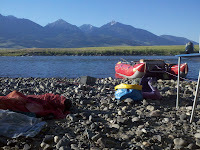 We talked about things and caught up good since last years float on the Grande Ronde with Erick. We also talked about what trip to do next summer. Maybe the Lower Salmon during the fall Steelhead run with Erick. Maybe the Deschutes with Molly's crew. Maybe both. Unfortunately, we had to end our trip a day early. The 23 hour drive, or maybe the 32 years has made the old GMC leak oil so bad that the oil pressure was really pathetic. I was worried that it'd launch a connecting rod through the side of the engine enroute back to Utah. I picked up some parts in Big Timber and worked on it until 1am in Cody's grandpas drive way in Twodot. The next day I drove to Utah without any leaks....for now.